Premier Li Keqiang meets with Russian President Vladimir Putin in Kremlin, Moscow, Nov 8. Premier Li and Russian PM Dmitry Medvedev co-chaired the 21st China-Russia Prime Ministers’ Regular Meeting. Premier Li has concluded his week-long Eurasian trip with a series of proposals to promote regional cooperation. SCO member countries’ government heads reiterated their long-standing commitment to safeguarding regional peace, stability and development at their 15th meeting. Premier Li Keqiang held bilateral talks with leaders from 17 nations during his two-day stay in Riga, capital of Latvia. 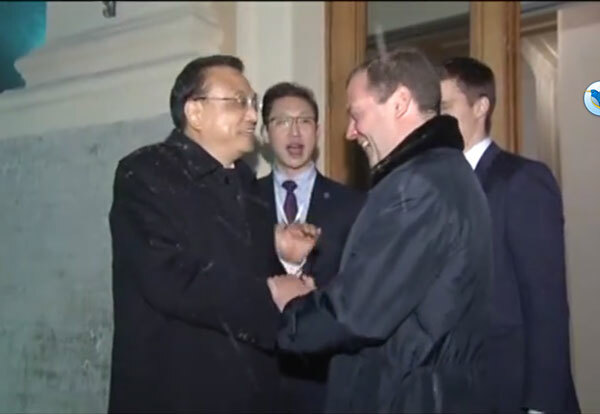 Premier Li met with Latvia’s president and parliament speaker, pledging to further promote bilateral cooperation. Premier Li Keqiang met with Kazakh President Nursultan Nazarbayev on Nov 3 in Astana, during his official visit to Kazakhstan. Premier Li pledged to align the Silk Road Economic Belt initiative with Kazakhstan’s new economic policy of the Bright Road. Premier Li Keqiang and his Kyrgyz counterpart, Sooronbay Jeenbekov, on Nov 2 agreed to further boost cooperation between the two countries in a variety of fields. Premier Li Keqiang will pay official visits to Kyrgyzstan, Kazakhstan, Latvia, and Russia from Nov 2 to 9. He will also attend the 15th SCO prime ministers’ meeting, the Fifth Summit of China and CEE Countries, and regular prime ministers meetings. Premier Li Keqiang made five proposals for practical cooperation between China and Central and Eastern European countries on Nov 5 in Riga. China’s relations with the CEE region at large are expected to grow in leaps and bounds, as Premier Li’s visit has injected fresh impetus into their already effective cooperation. 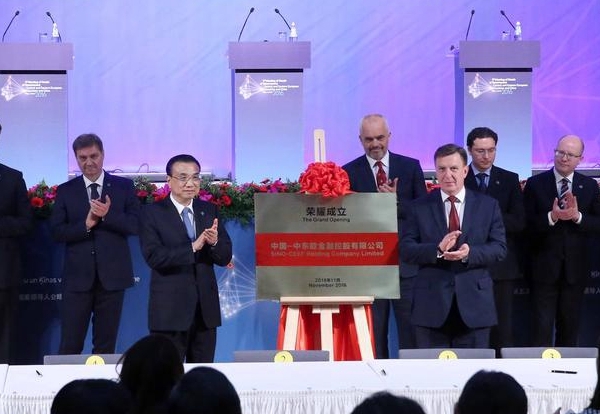 Premier Li put forward four principles guiding “16+1” cooperation during his keynote speech on Nov 5 at the Sixth China-CEEC Economic and Trade Forum in Riga. 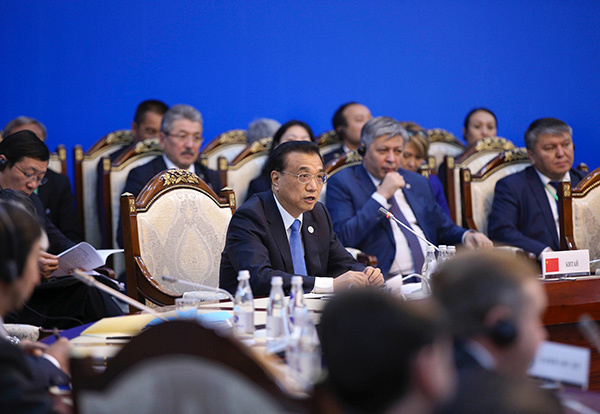 The 15th SCO prime ministers’ meeting concluded with a six-pronged proposal by Premier Li and a joint communiqué.